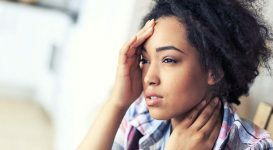 Could Migraine and Carpal Tunnel Be Connected? 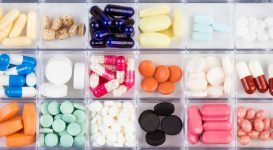 A recent study has broken important ground on the relationship between two common pain disorders, which could lead to significant advances in pain management for millions of people. 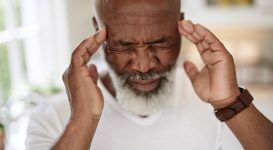 Researchers at UT Southwestern Medical Center have published their optimistic findings on the link between migraine headache and carpal tunnel syndrome – a connection the medical community had long suspected, and can now confirm. 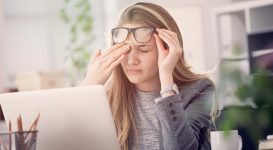 While migraine is centered firmly in the head, and carpal tunnel affects only the wrists and hands, both are debilitating disorders that cause sufferers an incredible amount of pain and stress. 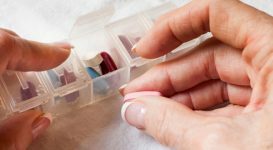 In fact, each condition results in millions of bedridden days and billions of healthcare dollars (close to 20 billion combined), and they can call for complex and invasive treatments. The new findings promise a big step forward in how these pain disorders are diagnosed, treated, and perhaps even prevented. Based on a review of 25,880 cases, the study out of UT Southwestern found that 34% of patients with carpal tunnel syndrome also suffered from migraine, and 8% of migraine sufferers also lived with carpal tunnel. Those statistics may not seem remarkably high, but relatively speaking, many more patients suffered from both conditions together than one without the other. Ultimately, researchers concluded that migraine sufferers were 2.7 times more likely to suffer from carpal tunnel syndrome than the rest of the population, and carpal tunnel patients were 2.6 times more likely to experience migraines than those without the nerve disorder. The study highlighted a few risk factors for both migraine and carpal tunnel syndrome, including smoking, obesity, and diabetes. It also appears that women are more likely to develop either disorder than men, and there could be a common systemic or neurologic risk factor that is yet to be discovered. As with many diseases, knowing the risk factors is vital for prevention, detection, and earlier treatment. Next page: things to keep in mind. How Long Does A Migraine Attack Last? Is There a Link Between Migraines and Epilepsy? Your community is a place to find support and answers. Log In to participate. We are building our Migraine community. © 2019 NewLifeOutlook™ All rights reserved.